We sell pick display setts of all major artists. Nice for collectors and also ready to play with. 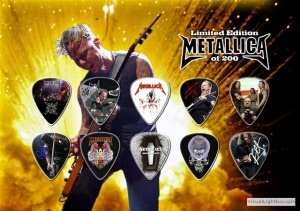 Buy picks of artists as Metallica, Foo Fighters, Red Hot Chilli Peppers, Motörhead, Lady Gaga, Amy Winehouse, Jimi Hendrix, AC/DC, Iron Maiden, Joe Satriani or 30 Seconds to Mars. Choose your favorite and look if your artist is there. We sell this special collector's items for only € 12,95. 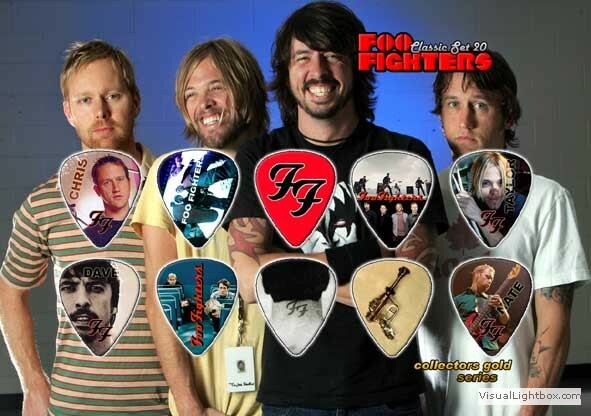 Foo Fighters picks. Collector's items real guitar picks. Material: celluloid. Size: 0,96 mm. Band print. Now on sale from € 14,95 for only € 12,95. For guitarists and collectors. 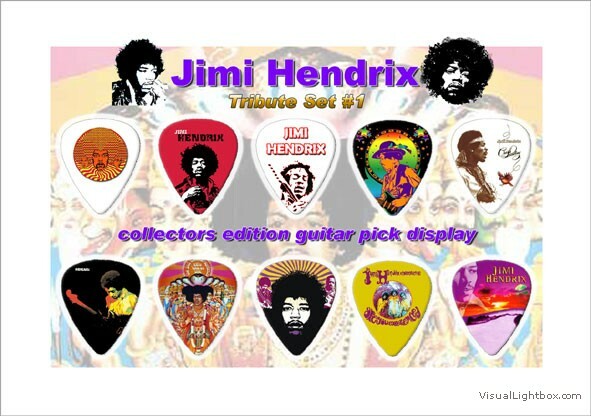 Jimi Hendrix picks. Collector's items real guitar picks. Material: celluloid. Size: 0,96 mm. Band print. Now on sale from € 14,95 for only € 12,95. For guitarists and collectors. 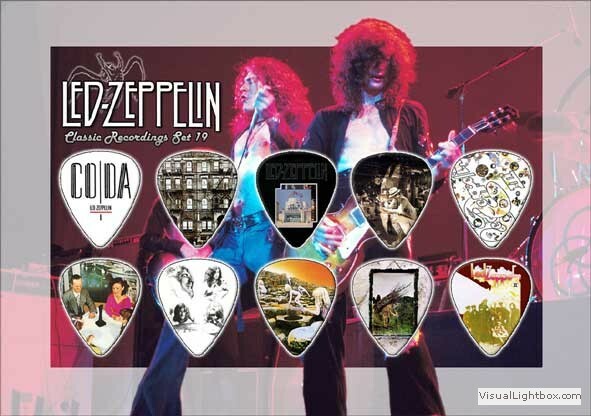 Led Zeppelin picks. Collector's items real guitar picks. Material: celluloid. Size: 0,96 mm. Band print. Now on sale from € 14,95 for only € 12,95. For guitarists and collectors. 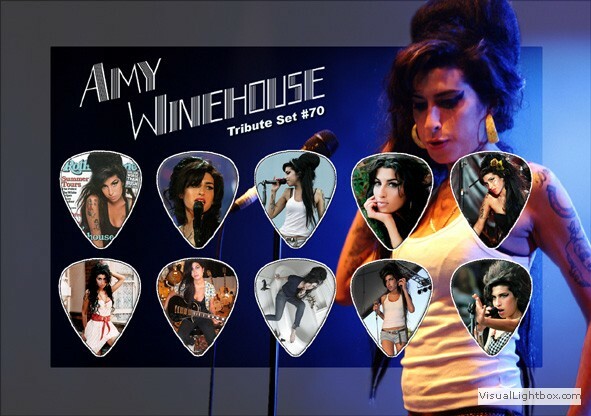 Amy Winehouse picks. Collector's items real guitar picks. Material: celluloid. Size: 0,96 mm. Band print. Now on sale from € 14,95 for only € 12,95. For guitarists and collectors. 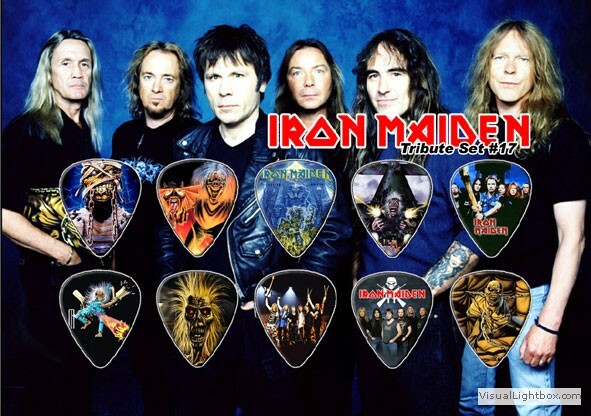 Iron Maiden picks. Collector's items real guitar picks. Material: celluloid. Size: 0,96 mm. Band print. Now on sale from € 14,95 for only € 12,95. For guitarists and collectors. 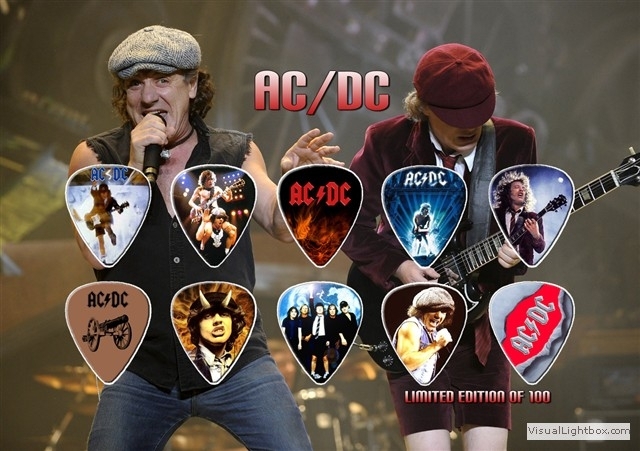 AC/DC picks. Collector's items real guitar picks. Material: celluloid. Size: 0,96 mm. Band print. Now on sale from € 14,95 for only € 12,95. For guitarists and collectors. 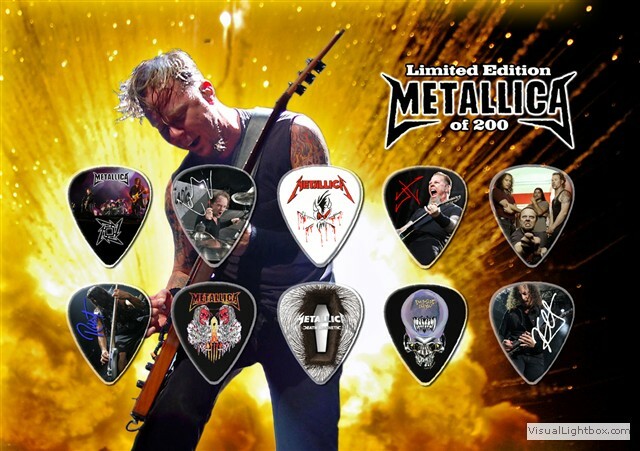 Metallica picks. Collector's items real guitar picks. Material: celluloid. Size: 0,96 mm. Band print. Now on sale from € 14,95 for only € 12,95. For guitarists and collectors. 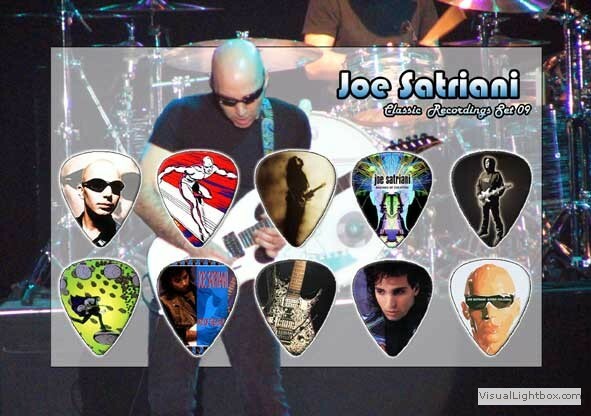 Joe Satriani picks. Collector's items real guitar picks. Material: celluloid. Size: 0,96 mm. Band print. Now on sale from € 14,95 for only € 12,95. For guitarists and collectors. 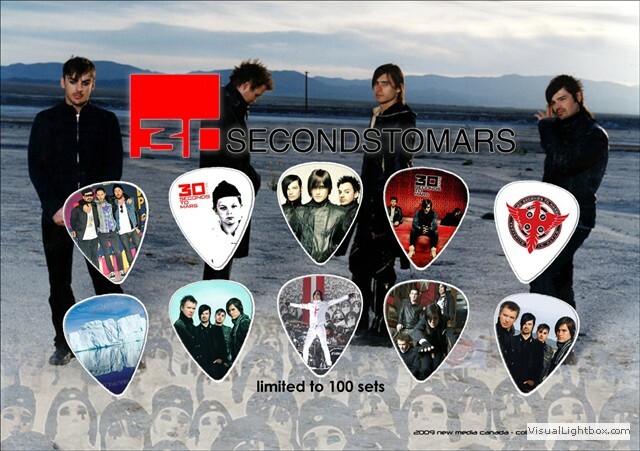 30 Seconds to Mars picks. Collector's items real guitar picks. Material: celluloid. Size: 0,96 mm. Band print. Now on sale from € 14,95 for only € 12,95. For guitarists and collectors. 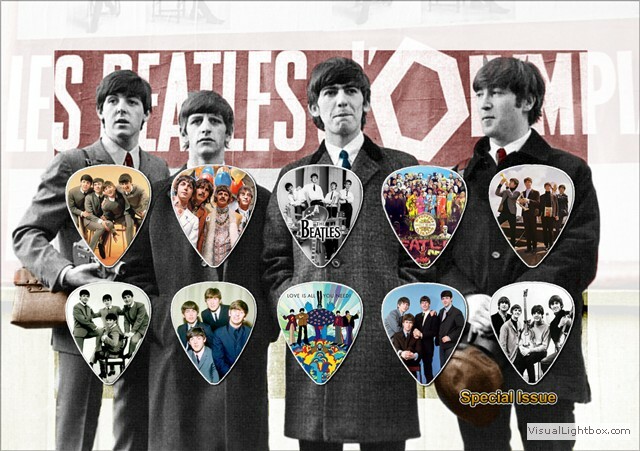 Beatles picks. Collector's items real guitar picks. Material: celluloid. Size: 0,96 mm. Band print. Now on sale from € 14,95 for only € 12,95. For guitarists and collectors. 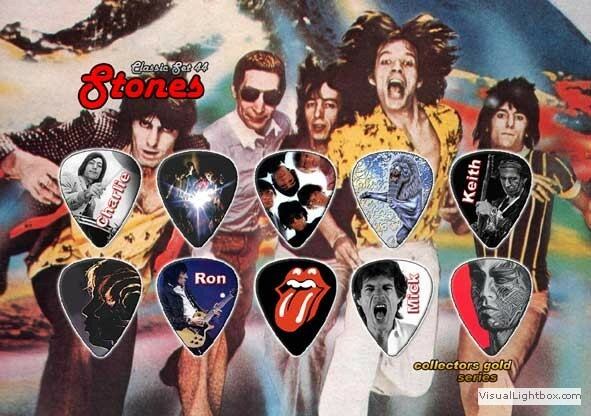 Rolling Stones picks. Collector's items real guitar picks. Material: celluloid. Size: 0,96 mm. Band print. Now on sale from € 14,95 for only € 12,95. For guitarists and collectors. 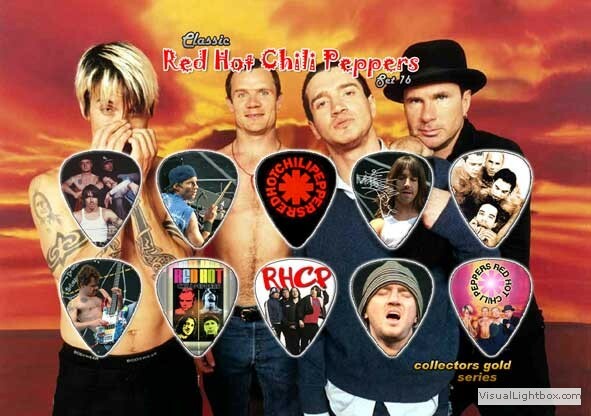 Red Hot Chili Peppers picks. 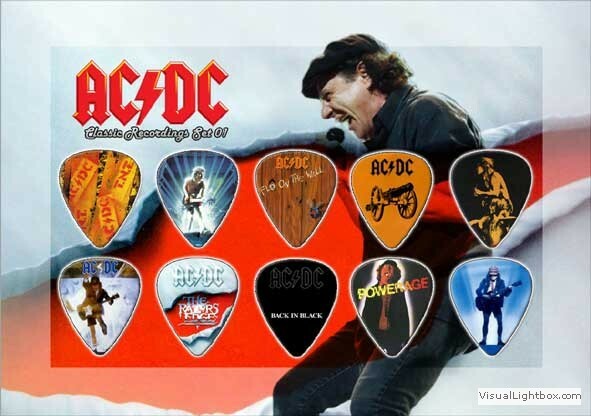 Collectors items real guitar picks. Material: celluloid. Size: 0,96 mm. Band print. Now on sale from € 14,95 for only € 12,95. For guitarists and collectors. 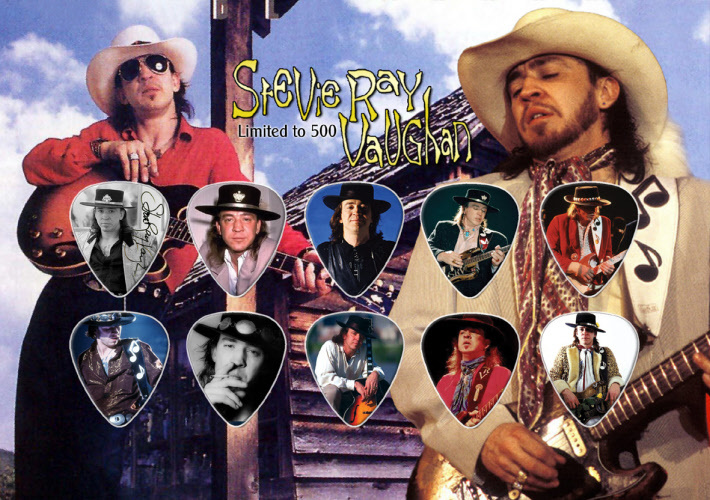 Stevie Ray Vaughan picks. Collector's items real guitar picks. Material: celluloid. Size: 0,96 mm. Band print. Now on sale from € 1`4,95 for only € 12,95. For guitarists and collectors. 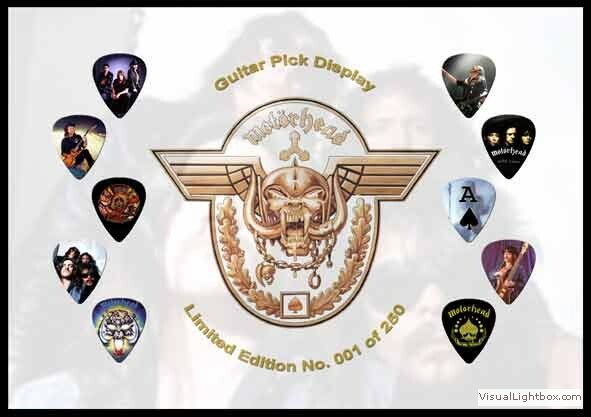 Motörhead picks. Collector's items real guitar picks. Material: celluloid. Size: 0,96 mm. Band print. Now on sale from € 14,95 for only € 12,95. For guitarists and collectors. 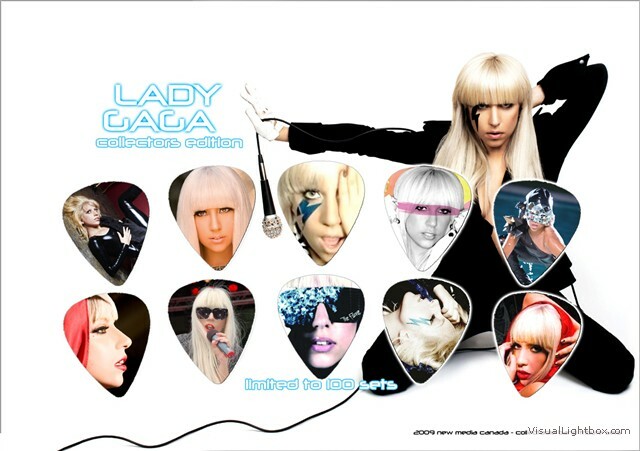 Lady Gaga picks. Collector's items real guitar picks. Material: celluloid. Size: 0,96 mm. Band print. Now on sale from € 14,95 for only € 12,95. For guitarists and collectors. 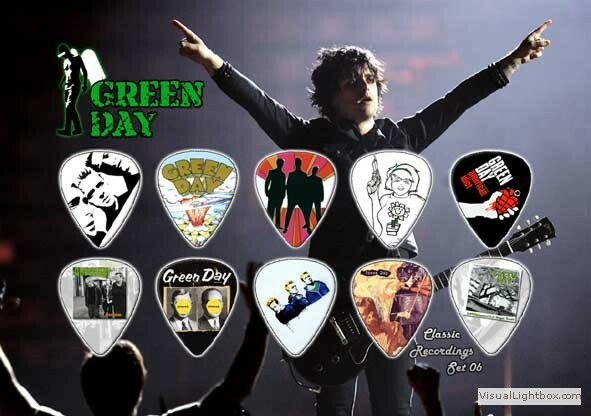 Green Day picks. Collector's items real guitar picks. Material: celluloid. Size: 0,96 mm. Band print. Now on sale from € 14,95 for only € 12,95. For guitarists and collectors. 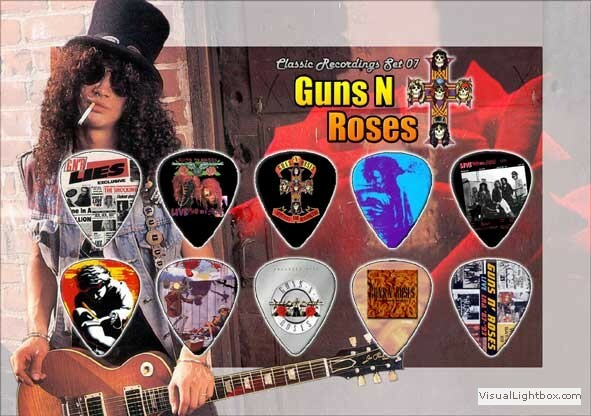 Guns N' Roses picks. Collector's items real guitar picks. Material: celluloid. Size: 0,96 mm. Band print. Now on sale from € 14,95 for only € 12,95. For guitarists and collectors. 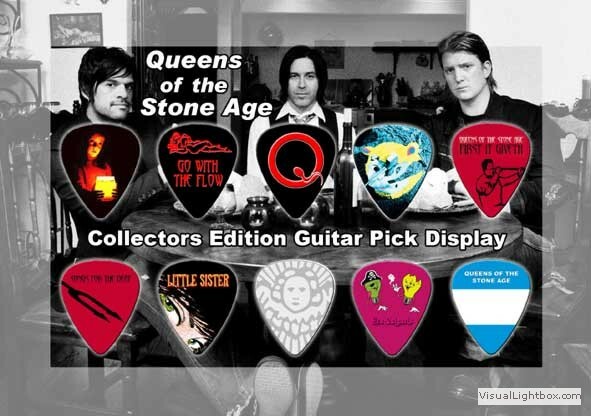 Queens of the Stone Age picks. Collector's items real guitar picks. Material: celluloid. Size: 0,96 mm. Band print. Now on sale from € 14,95 for only € 12,95. For guitarists and collectors.